In 1926, Long Island University was established to provide affordable priced and useful education for people living in all areas of Long Island. Because it was so affordable, many immigrants and their children were not able to enroll and become educated making the step towards their American Dream that much closer. Over the decades, Long Island University has continued to recognize the need for quality education at a price that is affordable to all people. They did not discriminate based on race or religion. They offered educational opportunities for anyone who could pay for it. Today, Long Island University has much to offer students from its excellent faculty to that personal attention that only small class settings can offer. It currently can boast that it is one of the largest private Universities in the United States. They offer several different campuses across Long Island each unique in their own way. 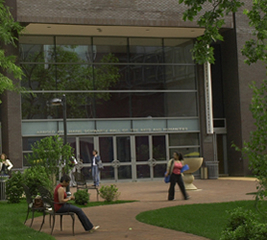 The main campus (LIU Brooklyn) of the university is located in the diverse city of Brooklyn, New York. The campus includes the old Brooklyn Paramount Theater which was converted to a gymnasium in the early 1960s. Currently they offer degree programs in Pharmacy, health Sciences, Business, Education and Nursing to name a few. In this ideal city setting, students have the opportunity to become educated in a beautiful historic campus. In 1954 they branched out of Brooklyn and added the C.W. Post Campus in Brookville, New York. Located on the beautiful estates of Marjorie Merriweather Post (Post Cereal), EF Hutton and Charles Hickox, this campus was needed for many reasons; as a means to educate the masses of men returning from World War II, and also to provide quality education for families who were moving out of the city to the suburbs. Currently they offer programs in Liberal Arts and Sciences, Computer Science, Education, and Health Professions. The branch also offers a School of Visual and Performing Arts at the location. The Tilles Center for Performing Arts and offers a unique music, performance and dance performances throughout the year. The campus also houses a Continuing Education and professional Studies program with classes available year round. With such a growing student population, there was the need for the University to branch out. And branch was exactly what they did. In 1959 the Long Island University Brentwood campus was opened on the expansive 172 acres of land owed by the Sisters of Joseph in Brentwood, New York. It was established to offer education to those already out in the workforce. Since its inception, they have expanded their programs to include a Criminal Justice degree, a School of Education including counseling and development and a School of Public Service. They also offer continuing education programs in Drivers Education and a Financial Planning Certificate Program. In 1963 the campus branched out to Southampton. Located on the East end of Long Island, Southampton was the perfect location for programs in the arts and marine science This campus remained part of LIU until 2005 when for financial reasons it was sold to SUNY and all the programs were consolidated to other campuses. The Westchester Graduate Campus in 1975. Located in Purchase, New York, this campus offers a wide variety of advanced certificate programs and graduate programs. The Arnold & Marie Schwartz College of Pharmacy and Health Sciences in 1979. This campus is located in Brooklyn, New York and was originally known as the Brooklyn College of Pharmacy established in 1886 but became part of LIU in 1929. The Rockland Graduate Campus established in 1980. It is a teaching campus that offers quality graduate programs in Business, Education, Pharmacy, Health and Administration and Counseling and Development. The Friends World Program at Southampton College established in 1991. (Originally founded as Friends World College in 1965). Now called the Global College (renamed in 2007), it was designed to offer education producing students who were world citizens. They pride themselves on its unique educational programs and multicultural approach in Long Island and many places across the globe. If you are looking for affordable education with a diverse choice of programs, the LIU definitely has what you are looking for. Take time to look into the many campuses and opportunities that Long Island University has to offer. You will certainly find what you are looking for.